With QC’s Online Dog Grooming course, you’ll complete your training from home, on your own schedule. You’ll learn to safely and expertly groom dogs from start to finish thanks to detailed course texts, video tutorials, and practical assignments, while receiving guidance and feedback from certified master groomers every step of the way. Learning to groom dogs online is easy and convenient! People love their pets – that’s why dog grooming is a rapidly growing industry across the globe. QC’s Dog Grooming course helps you turn your love of animals into a creative, flexible and fulfilling career. 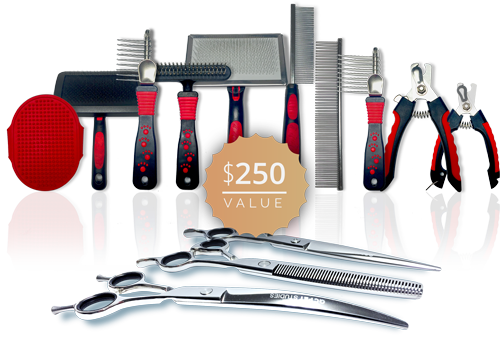 When you enroll, you’ll receive a toolkit with the essential items you need to get started, including professional-grade grooming scissors, brushes, combs, coat tools and nail clippers. Get online access to your course right away. Receive your books, DVDs and grooming tools in 7-10 days. Use your computer, phone or tablet to upload your assignment work to QC’s Online Student Center. Get audio feedback from your tutor, a certified master groomer, after each unit you submit. Get your certificate of completion and begin your career as a professional dog groomer. Pet First Aid prepares you to respond to emergencies and to maintain a safe grooming environment. 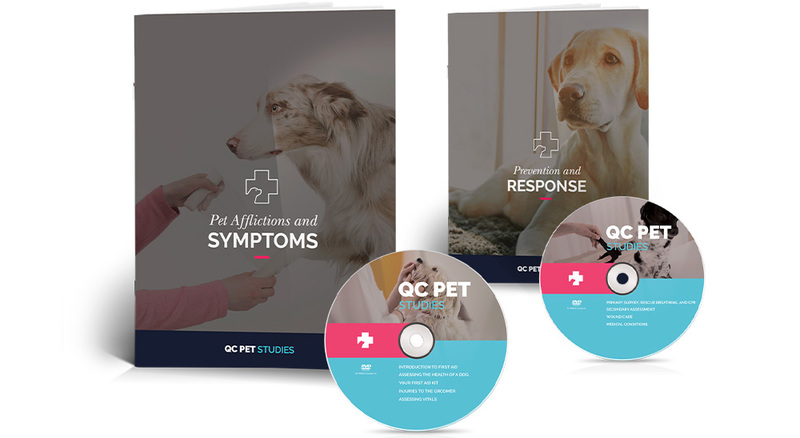 Learn from dog first aid experts who will guide you through the content you need to know to keep yourself and your furry clients out of harm’s way. 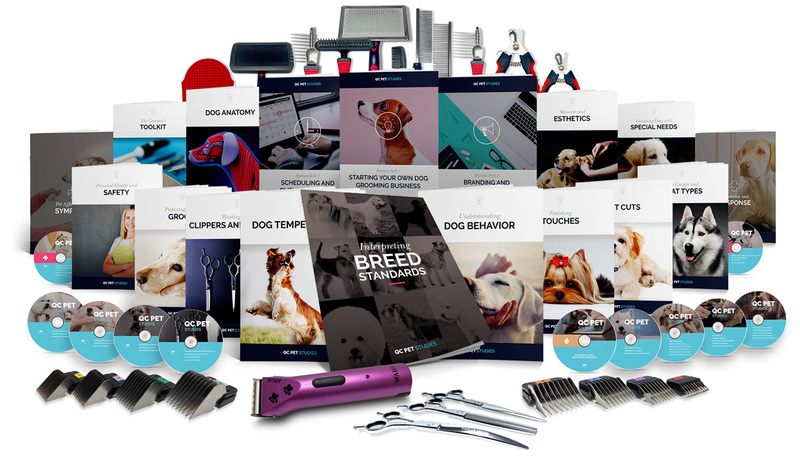 Become a professional dog groomer from the comfort of home! Click to read a detailed overview of QC’s Dog Grooming Course and find out if it’s right for you. There are many different career paths available to professional dog groomers. Click to learn about your career options and learn how QC will help you achieve your goals. Join QC and start your journey toward a new and exciting career you’ll love. Flexible payment plans are available. QC accepts new students 365 days a year!